The military demands buildings that are mobile. ClearSpan mobile command centers enable the armed forces to quickly respond to different scenarios, all while maintaining the versatility and dependable nature that ClearSpan structures are known for. ClearSpan mobile command buildings can be utilized in a number of ways and create an environment that is easy to work in, which is a huge benefit when HVAC systems aren’t readily available. 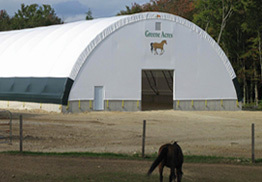 These buildings provide natural ventilation, so you don’t have to worry about uncomfortable environments, and the lack of internal support columns means that whether the structure is used as a mobile disaster relief building, command center, mobile medical center or anything else, there is plenty of available space that can be organized in the most convenient manner and allows for machinery and equipment to be operated within. With ClearSpan you can ensure your mobility and ability to quickly respond, without sacrificing durability and dependability. 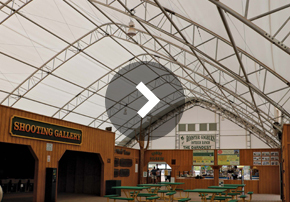 Our mobile command centers come in fabric, hybrid and metal buildings, ensuring that no matter how you plan on using your ClearSpan structure, there is an ideal option.